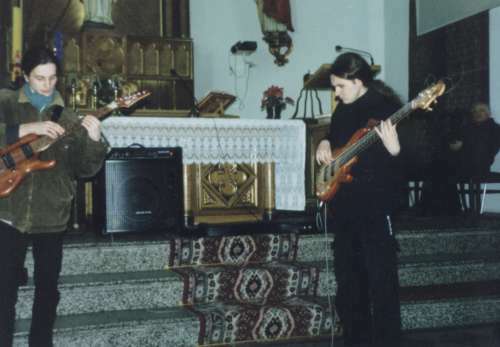 Here we have photos of our first gig in the jazz trio format, with us playing in a church (the priest is a big fan). 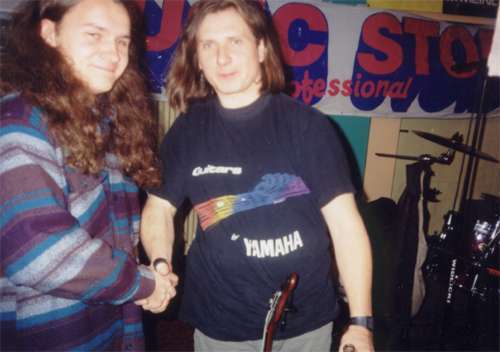 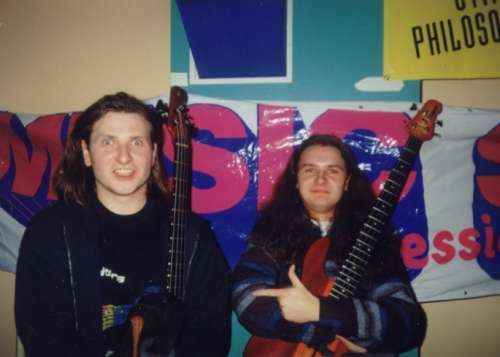 There are photos of Tom with Wojciech Pilichowski, the best bass player in Poland (he plays like Mark King). 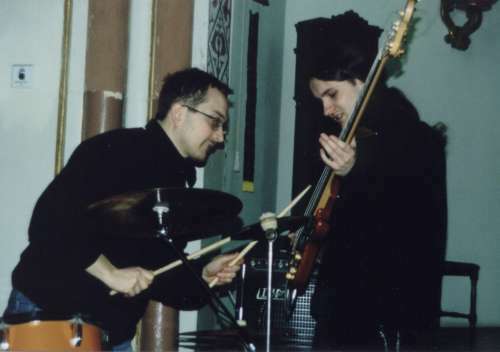 Tom also plays with Blues Forever, a blues band. 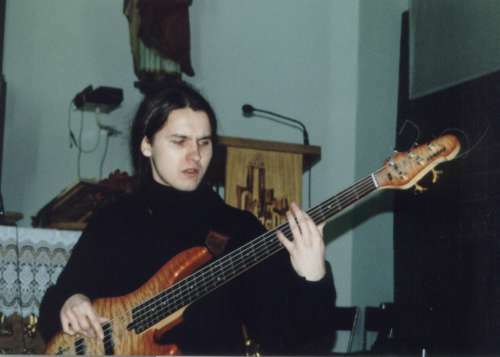 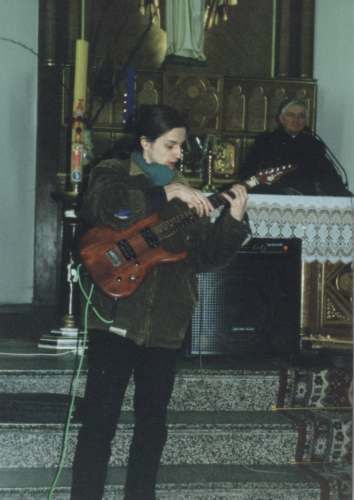 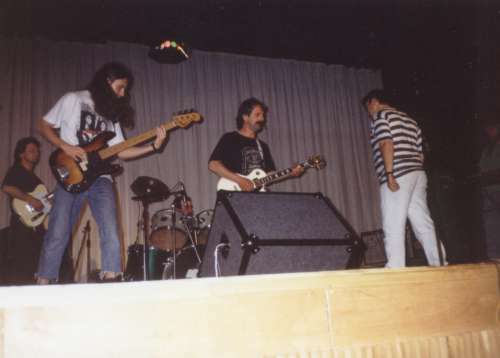 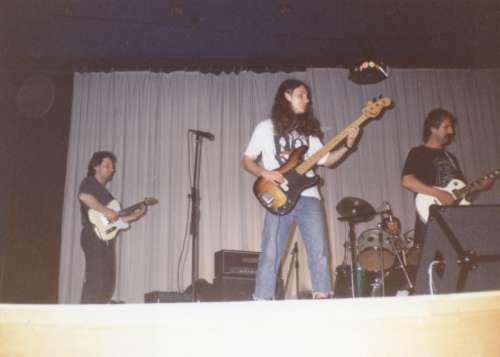 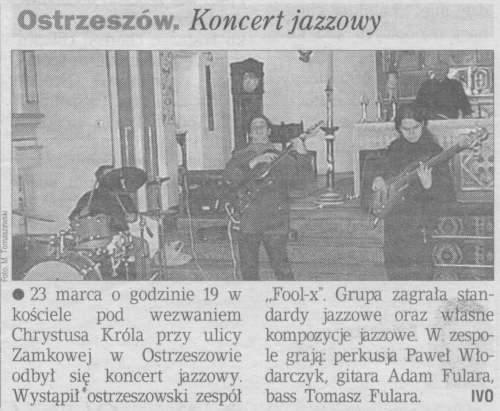 Gazeta Poznanska (March 27, 2001) -first gig of Fool-X trio with new instrumental repertoire.